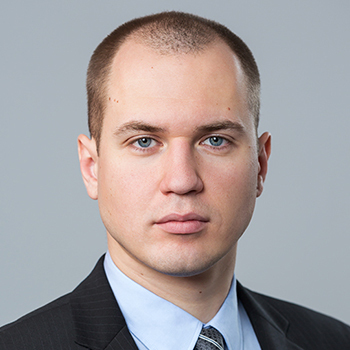 Denis Maslennikov joined IDC in October 2015 as a Senior Research Analyst and is currently responsible for research and consulting in the area of IT security. Currently Denis is based in Moscow Russia. Previously Denis was based in Dublin, Ireland and worked for Adaptive Mobile Security between 2013 and 2015. He was responsible for mobile malware research, mobile spam analysis and research into specific threats in mobile security. Prior to this, Maslennikov joined Kaspersky Lab at the beginning of 2007 and held various roles in the antivirus lab, rising rapidly to become the Head of the Mobile Research Group. Following this, he joined the Kaspersky Lab Global Research and Analysis Team as a Senior Malware Analyst and was responsible for monitoring the threat landscape, with particular emphasis on mobile malware, mobile security, online banking threats and targeted attacks. He holds a diploma in Information Security from the Russian State University for the Humanities.